Old batman cartoons were the funniest on TV. When watching a cartoon batman punched the evil guy…pow! Then he would throw him and he would slam on the ground…whoooosh! Whammm! The evil guys head would crack and he would pour blood! Dogs say bark bark but in japan the sound is wan wan! 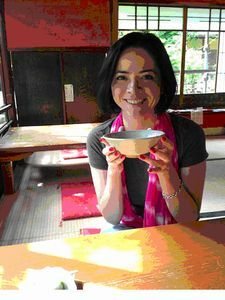 Hi I’m Erika, and I am thrilled to join the b Watashino Eikaiwa family!